If you want to know when winter is going to hit us here in the Atlantic region just keep looking at the sky and wait. Of course the old adage of the weather stick could always apply and there are those who swear by the stick’s ability to predict the weather. It works like this: Find a stick, preferably a chunk with the bark half removed, this improves the readings. Hang the stick in an area where it is directly affected by the environment. To read the weather stick all you do is use the powers of observation. If the stick is wet it is raining, if the stick is white it is snowing, etc… Although hanging the weather stick is about as accurate as the weather reports on the news, we all know that the saying in New Jersey is “If you don’t like the weather – just wait five minutes.” The point is regardless of what the, stick or the TV news says the weather in this region can be extremely unpredictable and so far this year we have been lucky enough to have it pretty mild. No doubt many of you have winterized your homes and boats but if you are a business owner what about your building? 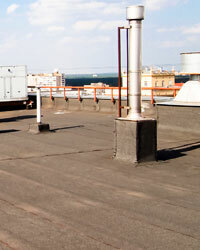 Many times the last thing a commercial building owner will think about this time of year is winterizing their roof. If you are a commercial business owner, the end of the year can be a hectic time. Between planning for next year, setting achievable goals and taking care of end of the year accounting, who has time to get up on the roof and inspect it? At S&S Roofing we don’t believe you should have to and that is why we are reminding all of our customers about our maintenance and inspection services. Not only are we the finest commercial roofing provider in the Northeast, we are advocates of general maintenance and repair. Every commercial roof, particularly if they are a what is known as a low sloped roof, are exceptionally vulnerable to damage due to winter related issues. If a low slope roof is not ready for winter, the next spring could yield leaks and other damage. 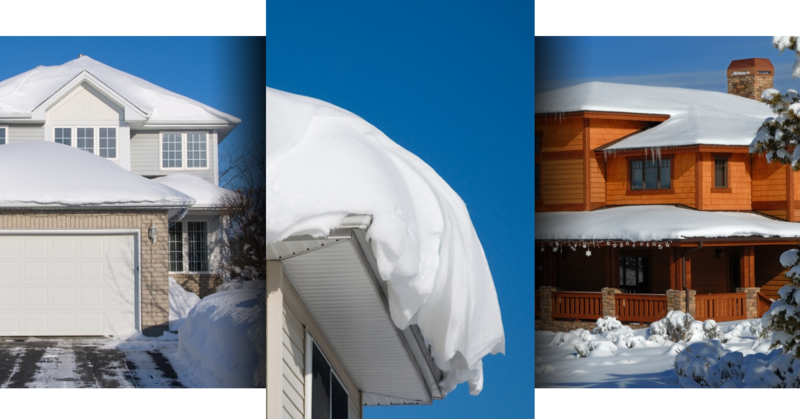 Conditions like inner ply moisture freezing, ice dams blocking the drains and heavy snow loads can all create damage that will cost you money the when the weather starts to warm up. Flat and low sloped roofs are extremely vulnerable to ice damming but a pitched roof can be equally as affected. An ice dam is essentially exactly what it sounds like, a dam of ice. 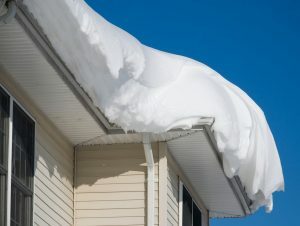 Ice dams can form when the drainage off of the roof is impeded in some way and the water cannot escape. On a pitched roof the snow will build up on the roof and generally melt off. Of course heat rises and snow along the main part of the roof will melt off due to radiation of heat within the building. The eaves on the edge of the roof tend to stay cooler than the rest of the roof due to soffit venting and the lack of heat. This creates a situation in which the melting water off of the warm part of the roof will reach the cold portion, and freeze up. This creates an ice dam and forces water under the shingles, which when froze will tear a roof apart. On a flat roof an ice dam will form when the surface itself is uneven and blocked by debris or snow. Removing an ice dam can become bad enough that your commercial roof can be damaged and vulnerable to many other issues that can arise. Stay tuned, next time we will discuss snow loading and inner ply moisture freezing. Until then, have your roof inspected by New Jersey’s finest commercial roofing contractor S&S Roofing. We can inspect your roof and recommend the proper course of action and perform the repairs. Of course the easiest way to avoid any potential issues is to give S&S Roofing a call before the snow flies.